Very well organized, managed and well coordinated by Martin and team… you guys rock! At the festival i did a collaboration tattoo with the Indian tattoo legends Sir Sameer Patange from Krayoonz Tattoo Studio Mumbai, Sunny Bhanushalifrom Aliens Tattoos Mumbai and me Mukesh Waghela from Moksha Tattoo Studio Goa. And it was indeed a great experience and an opportunity to work with these living legends, i really enjoyed it to the core. Thank you Lisa (Kinjal Vadher) without you this tattoo would not have been possible. This is just the start… many more to come…. 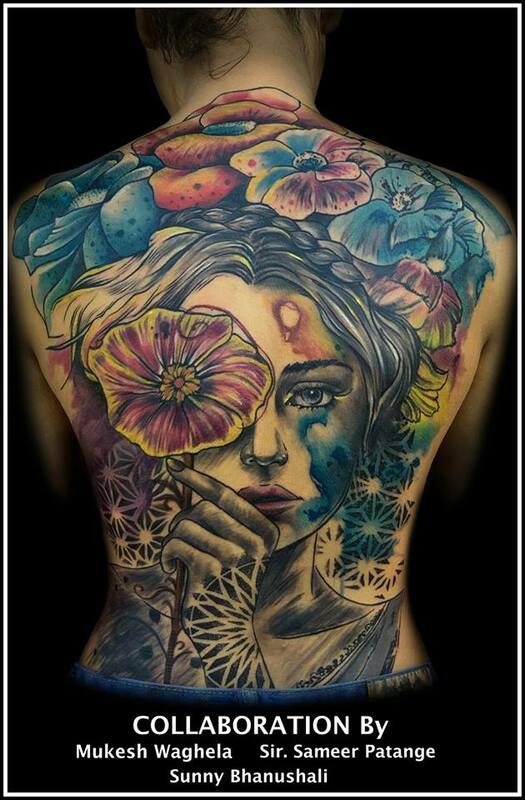 Previous Post Tara Tattoo, By Moksha Tattoo Studio at Goa Tattoo Festival in Goa.